Throughout the month of March, GottaBe! has been working with Vita Student; an exclusive, laid back and all-inclusive living accommodation for students in Southampton. The campaign was part of #BeginBig campaign that VITA has kicked off earlier in a month. Following the success of their first accommodation, they are currently building new facilities in the heart of Portswood, the perfect place for University of Southampton students to live. Both Vita Student buildings are in prime locations, with Richmond Park being situated right by Ocean Village overlooking Southampton’s marina and Portswood House being next to the big Sainsbury’s. Alongside this, Portswood House is also less than 10 minutes away from St. Denys station, making community extremely easy and simple. Vita Student also offers free gyms, comfy social hubs, and all studios come with a 40 inch Smart TV. The last big selling point of this accommodation is the was Vita sets students off in the right direction for the rest of their lives by offering graduate schemes and career tools. The main purpose behind this campaign, was to raise awareness of the new accommodation that is being offered in Portswood. Our Brand Ambassador’s generated many different leads from potential customers, prompting them to sign up providing their details for a call back from the Vita sales team. 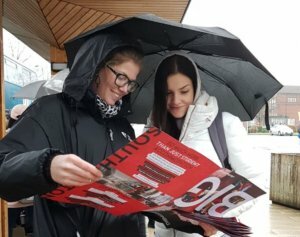 They created these leads by undertaking Face to Face engagement at both universities in Southampton, also targeting their Open Days and by being present at the key locations where students eat, shop and relax. 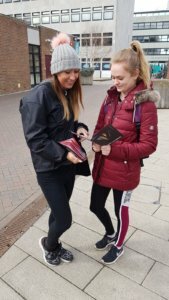 This was particularly useful as it gave the Brand Ambassadors the chance to speak with the students and explain how Vita works rather than just handing them leaflets that they may not read. 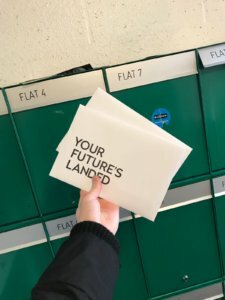 As well as this, the Street Team visited first and second years at their halls of residence, also engaging with the students. This was part of a door-to-door campaign, specifically focused on targeting students at their current residency. Both aspects of the campaign; face-to-face engagement and direct marketing were supported by one of the latest GottaBe! additions, DigiVan. Working with the client, the team at GottaBe! strategically placed the van in the Portswood and town centre area of Southampton to maximise their exposure to capitalise on the high foot traffic of students at prime times during the day. 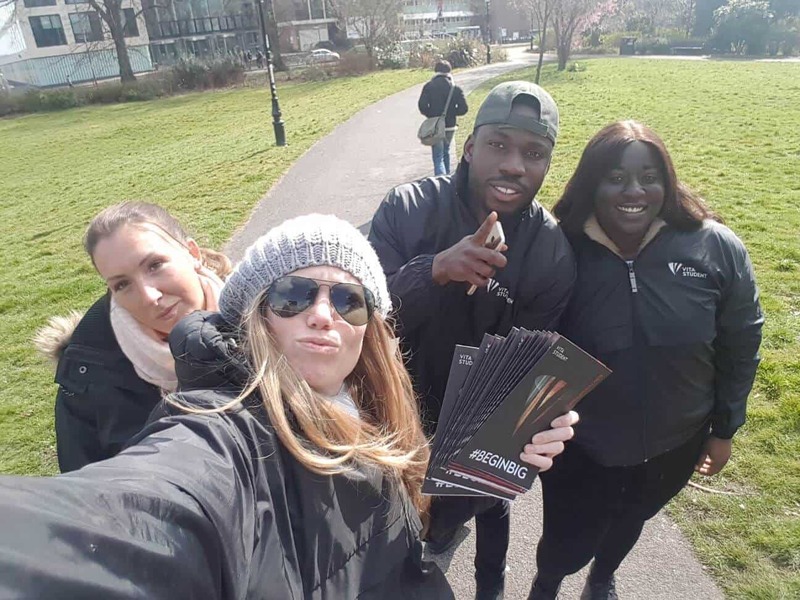 This campaign proved to be successful because many leads were generated by our friendly and approachable staff, which drove footfall to the marketing suite. The studios at the new accommodation are filling up nicely thanks to the Brand Ambassadors promoting it which is great for everyone! As well as this, the Brand Ambassadors visited first and second years at their halls of residence, also engaging with the students. In these areas, they are only provided with kitchen cleaning, so when Brand Ambassadors informed them that housekeeping was part of Vita’s all-inclusive offer, students showed plenty of interest. Vita also offers a lot of privacy which can be particularly beneficial to students who are in their last year of university which can sometimes be extremely stressful and demanding. This campaign proved to be successful because many leads were generated by our friendly and approachable staff, which led students to visit the Vita Student marketing suite where there was a mock-up studio replicating how their studio would look. The studios at the new accommodation are filling up nicely thanks to the Brand Ambassadors promoting it which is great for everyone!